Body By Kariim Fitness » Yep! It’s Pizza. The infamous cheat meal pizza! Oh how we love it….. but can only have it in moderation. Why? Pizza done the traditional way, is one of those foods that doesn’t come packed in nutritional value. Though the cheesy + saucy cheat meal taste delicious, it could completely set you back when it come to your fitness goals if enjoyed too often. We do not believe in depriving yourself. But you have to be smart. EAT FOR YOUR GOALS! Are you on a weight-loss journey, are you getting ready for a photoshoot, do you have a gluten intolerance, does dairy bloat you? Finding ways to enjoy your favorite cheat meals without ruining your hard work in the gym is so important. When indulging in cheat meals, one way to avoid going completely overboard is to have quality cheat meals. Your cheat meals do not have to be CRAP! Crappy, processed ingredients that cause bloating and weight gain. 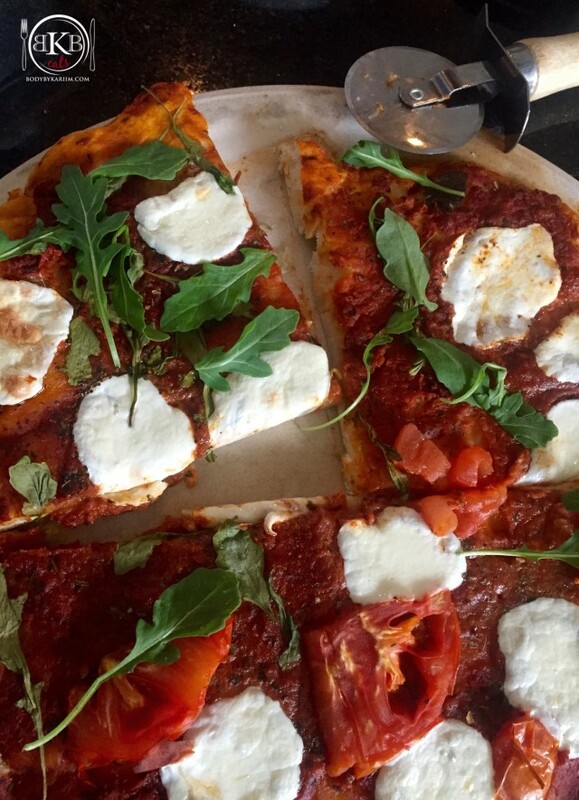 *If eating pizza out, choose a place that uses quality + fresh ingredients. 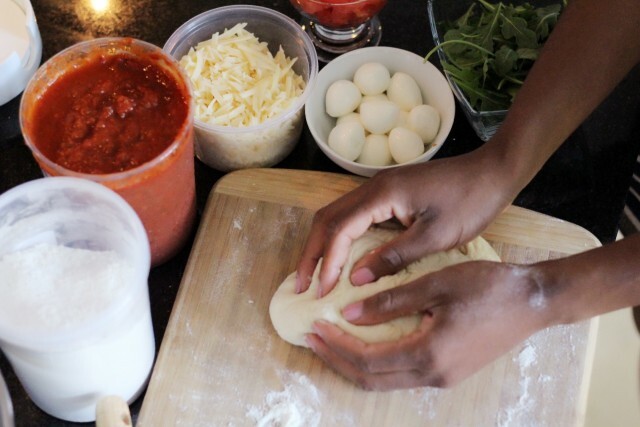 All ingredients for this pizza are freshly made & local. 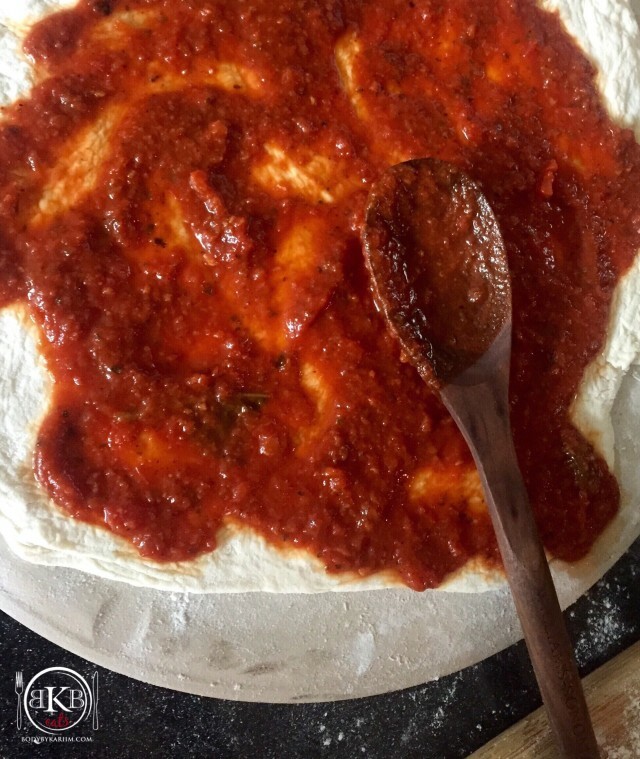 Fresh rolled dough from the Farmers Market, fresh homemade pizza sauce, fresh mozzarella, and organic arugula. Afterwards, we felt no bloating or gas. Rolled out the dough, covered in toppings and placed in the oven until crust turned brown to our liking. 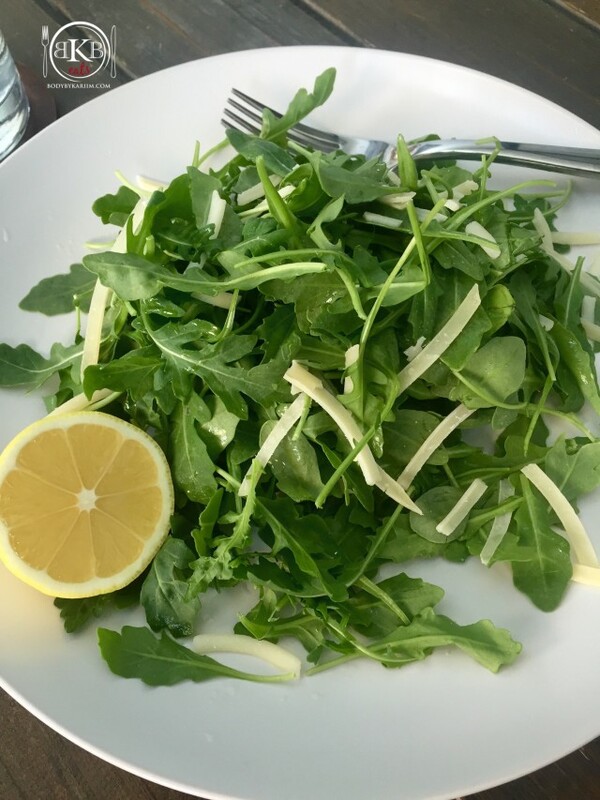 Enjoyed our pizza with an Organic arugula salad. the most simple, refreshing delicious salad. Oh Yea!!!! I like cheat meals now and then, especially, PIZZA.